The capital of the state of Queensland and Australia’s third largest city; Brisbane has the most beautiful scenery as seen from land, sea and the sky that appears to call out for attention. The meandering Brisbane River flaunts the city and blesses the city with cool breezes to keep both city and people cool. The walk-ways and bridges across the river gives the residents easy passageway to the parklands and beautiful, sandy, white inner city beaches associated with Australian coastal cities. Brisbane is on the up and up and has a booming commercial property business and should be one of the cities of choice for those thinking of buying a commercial property in Brisbane. 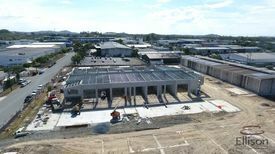 As one of the biggest business centres in the country and also a part of the Australia Trade Coast; Brisbane makes a good place for investment in the commercial property industry. CommercialProperty2Sell can help you buy commercial property from the beautiful, excellently priced and well located commercial properties on file to ensure you enjoy a slice of the business cake because Brisbane is currently where business is happening. The current commercial property prices are one of the main reasons any buyer should opt for Brisbane. The commercial properties in Brisbane are currently the second cheapest only after Adelaide, compared to some of the country’s largest cities. It certainly makes good business sense to buy commercial property when the prices are down as it will provide room to manoeuvre in future. 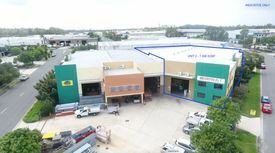 Located in the Bridgemark Centre in the well established and sought after commercial precinct of Murarrie in Brisbane's Southern TradeCoast region are these great quality adjacent properties, featuring a combined: 442sqm office/ warehouse 314sqm of warehouse floor space Additional 50sqm mezzanine (not included in building area) with 600kg/sqm load rating, a/c enclosed workshop on the mezzanine 185sqm fully fenced, hardstand area at the rear of the property 128sqm first floor, a/c office space with multiple partitioned offices Dual electric container height roller doors, dual rear roller doors, secure cage area, three phase power Amenities include a kitchenettes and bathrooms with showers Six (6) exclusive use car spaces including four (4) under cover plus ample additional parking on site Sale Price: $1,340,000 + GST ( approx) Contact Exclusive Agents Jared Doyle or Jack Gwyn of Ray White Commercial TradeCoast today! 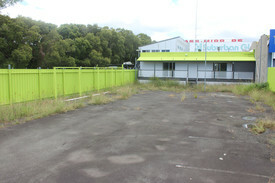 Well positioned warehouse among popular industrial precinct on South Pine Road. Currently occupied with 18 months remaining on the lease and is extensively fitted out to the tenant's current use adding additional value to any purchaser. Suitable for investors or in time owner occupiers. 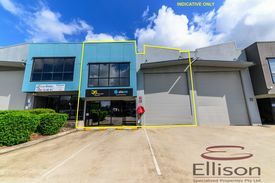 450m2 Ground Floor (400m2 warehouse / 50m2 office) 50m2 mezzanine storage Large roller door High ceilings Ample three phase Excellent car parking For more information or to arrange an inspection please contact Richardson Wrench Commercial Brisbane North. 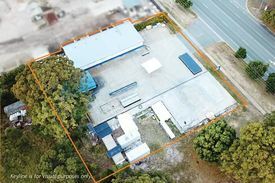 Ray White Commercial Northern Corridor Group is pleased to offer 4/17 Lear Jet Drive, Caboolture for Sale. FEATURES: bull; 130m2 Tilt panel warehouse bull; Container height roller door bull; 3 Phase power bull; Includes 4m overhead 4t hoist 32CFM 3 phase compressor bull; Internal amenities bull; Small reception/office area (approx 12m2) For further information or to arrange an inspection, please contact Chris Massie or Blake Primrose. Ray White Commercial Northern Corridor Group are pleased to offer 167 169 First Avenue, Bongaree for Sale. 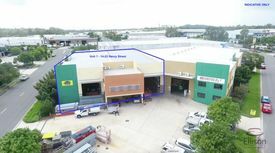 FEATURES: bull; 2,374m2 industrial lot bull; 250m2 approx warehouse bull; Leased to Bribie Pontoons who have occupied the site for 30 years bull; $57,222 net income bull; Tenant pays 100% of outgoings bull; Site contains 2 x 6m shipping containers used for storage bull; Excellent exposure to First Avenue within Bongaree Industrial Estate For further information or to arrange an inspection, contact Chris Massie. 2,670sqm office/warehouse split into mirror dual tenancies on a 4,958sqm site Fantastic opportunity for an astute owner occupier to occupy Tenancy 1 whilst benefiting from the rental income of Tenancy 2 OR purchase as a dual tenancy investment Tenancy 1: 1,335sqm office/warehouse 160sqm corporate office over two levels 1,175sqm clearspan warehouse 160sqm all weather awning Rear concrete hardstand Ample onsite parking 3 phase power supply outlets Fantastic internal height Three (3) electric container height roller doors Near new impressive facility with great street appeal Ground floor amenities include a kitchenette, PWD toilet with shower first floor amenities include a second kitchenette plus male female toilets Tenancy 2: Leased to international company Chandler (CK Communications Group PTY LTD) who have offices in Sydney, Melbourne, Auckland and the subject property Chandler have invested significant funds in their fit out embedding their business in the property Paying $185,910.96 p/a + Outgoings + GST 5+5 year lease Greater of CPI or 3.5% rent reviews Personal guarantees plus $57,048.60 security bond Fantastic TradeCoast location within close proximity to the Gateway Motorway connecting you to Brisbane's major arterial network Plans lease available on request Internal photos of Tenancy 1 ( approx.) For further information or to arrange an inspection please contact the marketing agents Jack Gwyn or Jared Doyle of Ray White Commercial TradeCoast! 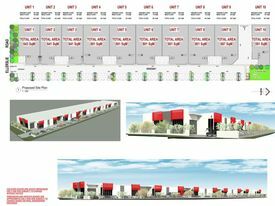 2 warehouses on separate titles to be sold as 1 Mirror imaged warehouses Total area of 588m2 400m2 warehouse 188m2 office over 2 levels 8 allocated car parks NBN available Close to M1 Motorway with easy access Unit A tenant in place til 31st July 2019 200m2 warehouse 47m2 ground floor office 47m2 mezzanine office 5 x 5m electric roller door Unit B tenant in place til 26th June 2019 200m2 warehouse 47m2 ground floor office 47m2 mezzanine office 5 x 5m electric roller door Call today for more information. approx Please contact the listing agent for more details by clicking on the link above. Disclaimer: Ray White has not independently checked any of the information we merely pass on. We make no comment on and give no warranty as to the accuracy of the information contained in this document which does not constitute all or any part of any offer or contract by the recipient. Prospective purchasers / lessees must rely on their own enquiries and should satisfy themselves as to the truth or accuracy of all information given by their own inspections, searches, inquiries, advices or as is otherwise necessary. No duty of care is assumed by Orchid Avenue Realty trading as Ray White Surfers Paradise Commercial divisions toward the recipient with regard to the use of this information and all information given is given without responsibility. 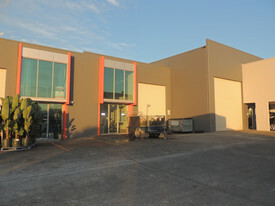 Located in the Yatala Industrial Area with ample on site parking and drive around complex. 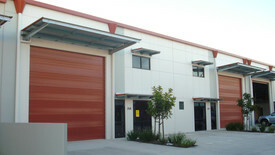 100 SQM GFA 30 units ranging from 100 SQM to 500 SQM to choose from Two gate entrances into the secure complex with 24/7 access Choose between the multi levelled units and single storey units 2 container set down/truck parking areas in complex as well as an AV Bay Undercover parking in some units From 2 to 8 car spaces per unit Ample street parking Disabled car parking available in complex 3 phase power Zoned Medium Impact Industry M1 access to both north and south bound is close by Completion expected mid 2019 $ 5 000 secures today Get in quick Check out our drone link, https://youtu.be/0cXhO_wOL0w Approximate If Applicable For more information please contact Sandra Carder. DISCLAIMER: Subject to the provisions of the Trade Practices Act 1974 and subject to any other non excludable statutory provisions. Ellison Specialised Properties Pty Ltd for themselves and for the Vendors of this property for whom they act give notice that: (i) all information given in relation to this property whether contained in this document or given orally, is given without responsibility; (ii) intending purchasers should satisfy themselves as to the truth or accuracy of all information given by their own inspections, searches, enquiries, advices or as is otherwise necessary; (iii) no person in the employment of Ellison Specialised Properties Pty Ltd has any authority to make or give any representation or warranty whether in relation to this property. 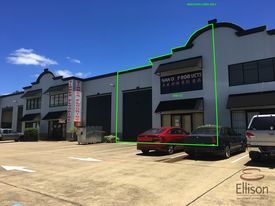 152 SQM warehouse space To suit an investor or owner operator Reliable, long term tenant in place Current agreement expires 31.10.2019 7% return Approximate outgoings $ 5 888 PA (Rates, water and Body Corporate) Price drop, owner ready to sell For more information please contact Tony Morena. Approximate If Applicable. https://youtu.be/s2DQi1cW2hc DISCLAIMER: Subject to the provisions of the Trade Practices Act 1974 and subject to any other non excludable statutory provisions. Ellison Specialised Properties Pty Ltd for themselves and for the Vendors of this property for whom they act give notice that: (i) all information given in relation to this property whether contained in this document or given orally, is given without responsibility; (ii) intending purchasers should satisfy themselves as to the truth or accuracy of all information given by their own inspections, searches, enquiries, advices or as is otherwise necessary; (iii) no person in the employment of Ellison Specialised Properties Pty Ltd has any authority to make or give any representation or warranty whether in relation to this property. Brand New Units - Available Now FROM $ 1 090 000 - $ 1 35..
Brendale Warehouse Factory 950,000 + GST (if applica.. The property comprises a classic, clear span warehouse/factory with: 2 extra large & electrically operated roller shutter doors giving access to generous concrete driveways on two sides Opportunity to create your own internal fitout Ideal for manufacturing (General Industrial Zoning) or storage distribution Onsite container storage available in designated areas Ample onsite car parking For more information and to inspect contact David Bright 0419 714 893. 90 SQM IndustrialÂ WarehouseÂ inÂ gatedÂ complexÂ withÂ securityÂ codedÂ access Great location just off Compton Road Roller door plus glass door entrance 2 dedicated car spaces in front of unit Toilet and kitchenette 100 amp 3 phase power to board Close to M1 via Logan Road For more information please contact Brian Manne. Approximate If Applicable.